It’s finally time for the Super Bowl! A day of celebration for the game of football, superior teams, and bragging rights until next season. Of course, it should also be noted that Super Bowl Sunday is also a night filled with DUI arrests. It’s probably not a surprise that this rise in drunk driving on Super Bowl Sunday exists. Millions of people all over the country spend the night out at sports bars and house parties in hopes of a good game. Even people who don’t like football will tune in for the sake of camaraderie or at least to catch a few very expensive commercials. 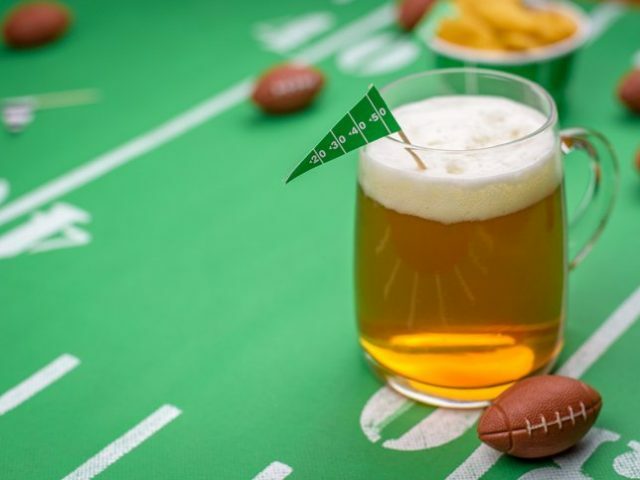 Traditionally, watching the Super Bowl is connected with consuming massive amounts of alcohol. With Super Bowl Sunday rapidly approaching, it’s important to be aware of the risks of drunk driving on this American holiday. That’s why we’ve collected a list of ten facts regarding drunk driving on Super Bowl Sunday. Men between the ages of 21-35 are more likely to be stopped for drunk driving on Super Bowl Sunday. Since this is the main demographic for NFL fans, it makes sense that this would be the age range of drunk drivers on this specific night. The highest percentage of recorded DUI’s will likely be in states or regions with a team that’s playing in the game. In fact, states with competing Super Bowl teams are likely to have double the drunk driving incidents, sometimes even triple the average, depending on where the team is located. Years ago after the 2013 Super Bowl, Delainie Walker, the Tennessee Titan’s tight end, lost his aunt and uncle when they were killed by a drunk driver after seeing him play in the game. He’s been an advocate for sober driving ever since. Walker has warned fans about the dangers of drunk driving at many press conferences and public events. If you’ve been previously arrested for drunk driving and your license is suspended, you’re more likely to violate that suspension and risk drunk driving on Super Bowl Sunday. This statistic is also true for a lot of major holidays. Basically, risky behavior like this is more common on special occasions or celebrations. While you may feel invincible after your team wins the Super Bowl, you’re still subject to random traffic stops or DUI checks. It’s always better to not violate the terms of your first conviction. Second and third DUI arrests will result in harsher penalties, fines, and punishments. Ride-sharing apps do help. Drunk driving research shows that there has been a steady decline in drunk driving incidents since ride-sharing has taken the stage. Apps like Uber will normally promote discounted rides during Super Bowl hours, so remember to check those out before you get behind the wheel after drinking. The average blood alcohol content (BAC) for drunk drivers pulled over on Super Bowl Sunday has steadily shown to be .091 percent over the years. This average is the same BAC for drunk drivers on other major drinking holidays such as New Year’s Eve, St. Patrick’s Day, and Cinco de Mayo. Drunk driving on Super Bowl Sunday is more likely to occur once the game is over. Once the game ends, everyone leaves bars, restaurants, and Super Bowl parties at a similar time. Be extra cautious if you choose to drive at that hour. Law enforcement and organizations like MADD (Mother’s Against Drunk Driving) will run million dollar campaigns urging people to not drink and drive on Super Bowl Sunday. These campaigns in addition to ride-sharing apps have proven to be effective over the years. You’ll most likely see more law enforcement officers patrolling the streets on Super Bowl Sunday as well as the days leading up to it. Remember that .08 percent is the legal limit for driving under the influence, no matter it is that you’re celebrating. A law enforcement officer will not care if your team won or not. Be aware of your level of intoxication before you get behind the wheel. Lawyers, law enforcement, and anti-drunk driving advocates all state that having a plan before you leave your home to watch the game is your best bet. Your chances of drunk driving on Super Bowl Sunday is cut in half if you plan for a ride or make an arrangement before the night begins. While these facts and statistics may encourage you to not drink and drive on Super Bowl Sunday, people still make mistakes. 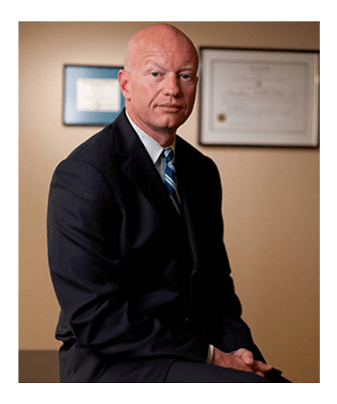 If you get pulled over for drunk driving this Super Bowl Sunday, you should contact an experienced Rhode Island DUI lawyer as soon as possible. 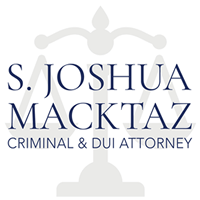 Joshua Macktaz can help you to understand the extent of your charges and give you advice on how to move forward. It’s never recommended to handle a DUI arrest alone. 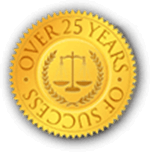 Contact the Law Office of S. Joshua Macktaz for more information.